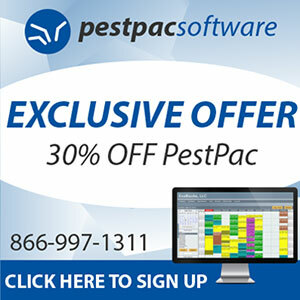 PestPac is 30% OFF now through Feb. 28, 2015! Start preparing for the busy season by investing in PestPac business software: You’ll not only get the discount but a free start-up package, which includes 30 days of unlimited training. PestPac has more than 100,000 pest management professionals using it every day. Call 866-997-1311 or click here to get started today.